We are SOLD OUT of all 2017 NYC Half slots! Join Team ASPCA on Sunday, March 19, 2017, at the 2017 United Airlines NYC Half and help us provide life-saving programs and services to countless animals nationwide. Runners will race through an iconic course while stopping traffic in Manhattan through some world famous sites like, Central Park, Times Square, Battery Park, and the South Street Seaport. You’ll have the opportunity to reach your fitness goals AND make a real difference for animals in need by raising much needed funds, supporting our mission and raising awareness for the ASPCA. To be part of Team ASPCA for the 2017 United Airlines NYC Half and receive all the above benefits, team members must commit to raise a minimum of $1,400 (Team ASPCA covers the NYRR race registration fee). 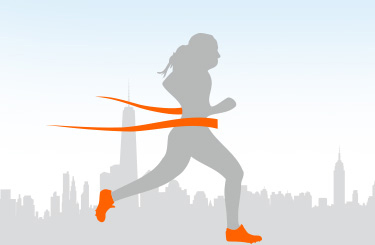 Please Note: Due to the very limited number of 2017 United Airlines NYC Half slots available, you must confirm your commitment by completing a Team ASPCA Recommitment Form which will be emailed to you automatically after you sign up with Team ASPCA. This form, and the information provided, will only be used if you are not able to reach $1,400 by March 6, 2017. Your slot will not be guaranteed without a recommitment form on file. Already have guaranteed entry for the 2017 United Airlines NYC Half and want to raise funds for the ASPCA? Click here for more info!